I came across several threads since 2012 discussing this issue. Although I found some recent replies, however, it made me quite confused due to conflicts (perhaps due to updates of methods and fees). So I decided to start this thread. It is labeled with date of inquiry so others from Egypt would find it easier here. Payment method preferred and selected. Fees taken (even in % of total amount). 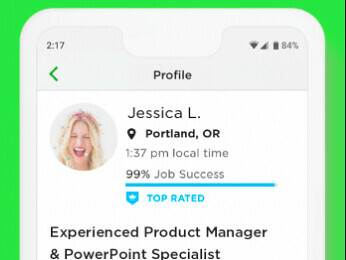 Congrats on your impressive start with upwork. The best way that i decided to go with eventually after a lot of research is the wire transfer. I know - I know 30$ could be a huge number in comparison with the 2$ fee for other methods. But actually it saves you a lot of many as any other service will charge you a percentage of your total earnings but 30$ is always a fixed price specially if you are gonna save up on up work and transfer large sums of money each time. In addition, i urge you to open an account in Dollars with the National Bank of Egypt as its quota is also fixed and very low (only 4$ per each incoming transfer). ( you have to have 200$ in cash to open the bank account with). So in the end if you thought about it the fees on transferring 1000$ is 34$ which means only 3.4% (there is no comparison really) and if you managed to transfer 2000$ the percentage will actually go down to 1.7%. Oh, and the most important reason of all; you get your earning in Dollars and you can withdraw them from the bank (or keep them there) in the same currency. While in comparison you get your earnings with a card and withdraw them from an ATM which will get you your earnings in Egyptian pounds and you will also pay for a conversion fee. One last note; your name on the bank account and your upwork name must match or you will face issues with your transfers. Hope i could have helped; please don't hesitate to ask any thing. Thanks Peter for your response. You saved me lots of time. I'll check with Arab bank since I already have an account there due to my work as university staff. I'll also go to National Bank of Egypt and shall open an account in case the Arab bank has a higher fees. I'm just curious about my name. Would clarify that? As Upwork has only first and last name that matches my ID (not the full name in national ID for sure). So I would appreciate if you clear that point out. 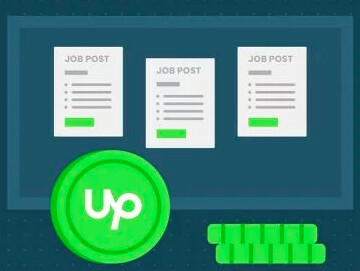 - Upwork processes the transfer automatically undee your Upwork name with the account number and the bank swiftcode. - When the bank receives the transfer; its staff do a quick check before actually enter the amount into your account. that is simply to check if the name is correct. (The two names matches or not). - if the bank staff member suspects that there is a mistake; he either tries to reach the sender to confirm or he returns the amount to the sender directly. 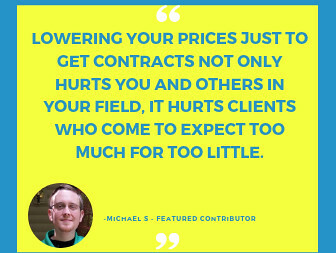 which means more fees and delays for you. And Upwork also could change it to your full name. Done it myself . Changed it from first name / grandfather's name to first name / father's name / grandfather's name. I can see also that it doesn't affect your profile name. So your father's name is kept private in your profile. That's a key imformation to be considered. My gratitude is not enough to thank you for your help. You are welcome. Don't forget to have your documents ready before requesting a name change. Today I went to NBE to open an account in USD. It was ironic that the personnel after 2 hours of waiting asked me if I have a passport or if I'm moving abroad!. I showed him my national ID stating my job as an academic staff. He informed that accounts in USD are only opened if I have an Egyptian account in NBE or if I'm going "to receive money from Arab countries". I was shocked that he insisted that he would open an account only when I receive money from abroad. My original bank "Arab Bank" allows me to open subacoount in USD while I'm at home from my online account at no cost. Those NBE was the weirdest thing happened to me ever to refuse to open a normal USD account. My conclusion, never go to NBE (or if any Egyptian is interested), please go ahead and share your experience if otherwise. Anyway, I'll go with PayPal. It takes 4% from transfer and 5USD for total transfer for any amount below $10,0000. I already tested it and it works fine. The best options which I do know that a lot of freelancers in Egypt use is Payoneer, It costs only one dollar to get your earnings on your Payoneer account, then you can simply transfer it directly to your bank account in Egypt without any further deduction, also with the best conversion rate. I consider it to be the cheapest and fastest way to receive your payments from Upwork. hope that helps! Thanks Helmy for making this thread a genuine reference to others like us. I have a payoneer account linked to my bank account. They claimed it was not verified and needed more information although I added all necessary data weeks ago. Suddenly I opened it today and bank account was approved and linked to it. The Payoneer website claims it takes only 1% per transaction which is better than PayPal deducing 4% + 5 USD per transaction. The wire transfer is 30 USD per transaction + bank fees (about 2%). If you are going to withdraw in terms of +$1k, Payoneer seems to be the best as you mentioned. Did you try it yourself? from getting payments down to deposit it to your bank account?